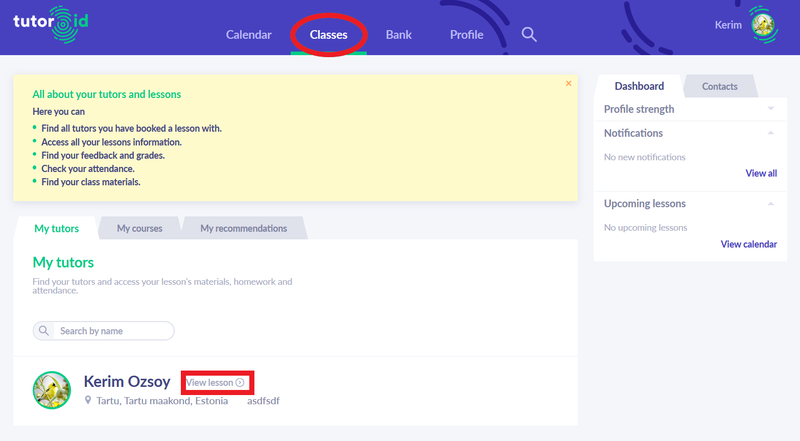 Lesson is visible under the "Classes" section. Click "View lesson" which is near tutor's name. The picture below shows the page where you can check your lesson content.